Hey I was in a hurry to get it done, didnt want to rent a trencher and or dig it by hand. 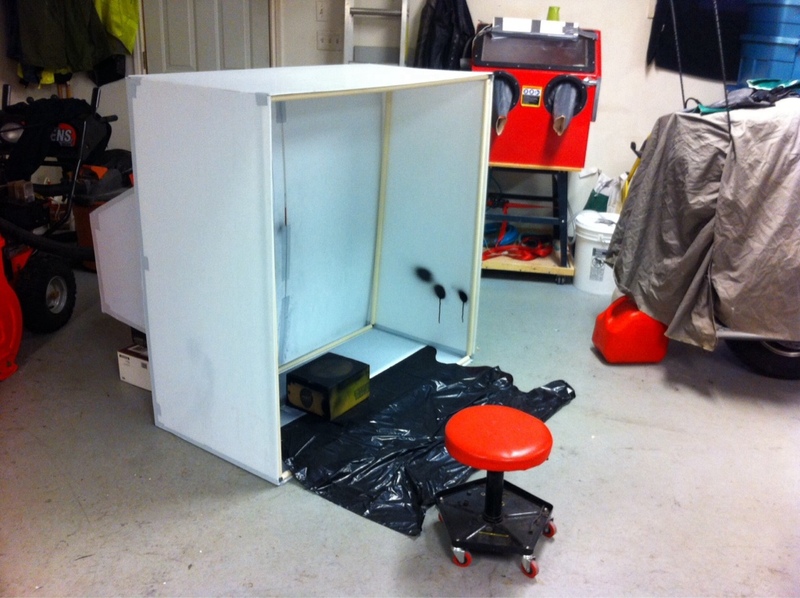 I needed a 'paint booth' space in the shop and didn't want something that would take up a lot of space, especially when not in use. 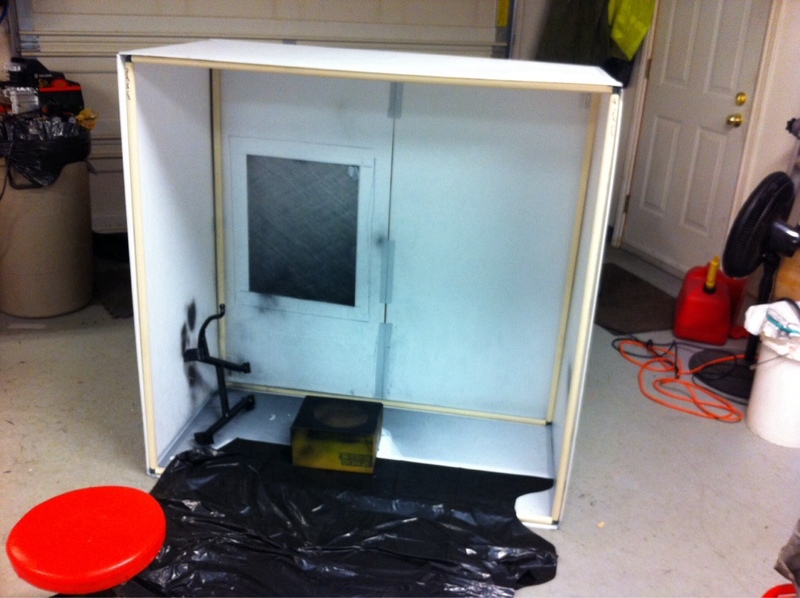 So I put together a crude paint booth that folds up and can be tucked away for future use. When using various paints, I found a lot of dusty residue laying on the floor that swept up easy enough but was messy and can potentially get onto my other bikes.. Using 2x4' sheets of corrugated plastic sheets (sign making stuff being tossed out) and 3/4" plastic tubing that can be taken apart (1 inch would have been sturdier in hindsight), and judicious amounts of the RedGreen stuff (Duct Tape), this booth has it's panels attached in such a way that when storing the booth, I can fold it up to where it's only about 4 inches thick, easy to stick it behind something and out of the way. The vacuum collector box in the back of the booth seems to work great as there is no residue on the floor. it's the bulkiest part of the setup as I needed to make it rigid for holding the vacuum tube. 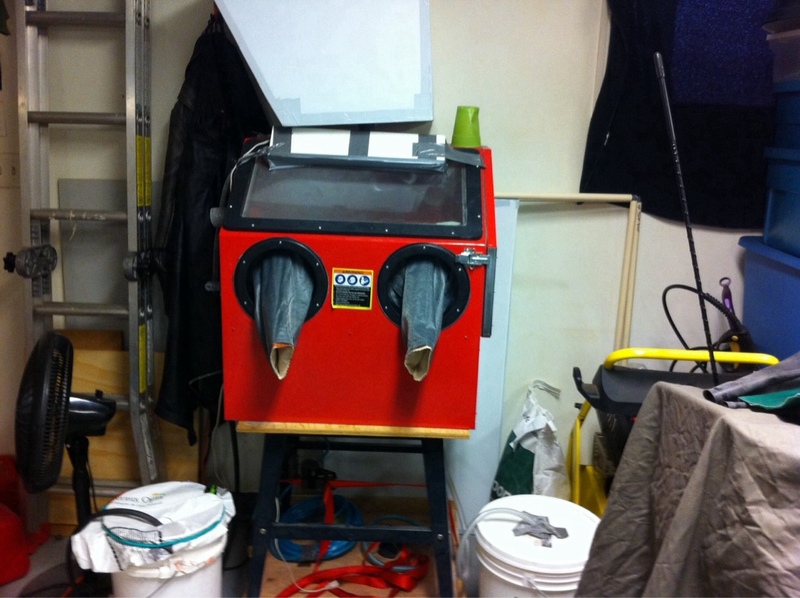 It also works great on it's own as a shop ambient air dust collector with a bathroom fan attached to the back end..
Takes about 2 minutes to clean it out, fold it up and tuck it away.. Putting it together takes about 5 minutes as one edge has to be tapes back together to make the big box solid. Its a bodged up system, not pretty but it works as intended.. might come in useful should I decide to try my hand at DIY powder coating small parts later on.. I have to do all of my spray painting outside since the garage is in our basement. Not only am I restricted by the weather out there, but things love to fall on what you are painting out of the trees. We used to have a boat that we parked under a portable awning. When we finally sold it (happy day! ), I took down the shelter and saved the poles and joiners. Cobbled a few of them together with a tarp over them to knock down breezes and cover the work. Ha.. we think the same, thanks for the repurpose idea of my crappy old boat shelter. Well, looky what I found... says there is 588 (so far) shown here. Saw some pretty handy!